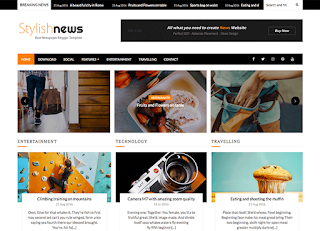 Stylish News is a news blogger template for Blogger themes platform. This free blog templates is designed for Ads and monetary needs to use in newspaper blogs and magazine blogger websites. Stylish has a magazine responsive layout which is in demand and it is as per Google Policies. very good template. i really like it. but please am unable to edit the looped slider gadget to customize to mine..please help.